Children Can’t Fly. Why Are Window Falls Still Happening? Thousands of kids still fall from windows each year. It is so easily preventable and is driving me insane. If you have children under the age of 10 in your house, you should get window guards or stops. Peter Pan is setting a bad example. I’d smack that green goblin if he came near my daughter. Cassandra Rush, 33, of Issaquah, was among Washington state parents who never considered the danger of windows until her 5-year-old daughter fell 15 feet, face-first, onto a concrete slab last September. The girl suffered a traumatic brain injury, a concussion, damage to her right eye socket and sinus fractures. The kindergartner had to undergo surgery to correct the physical problems and still suffers from anxiety and stress related to the fall, Rush said. If you had a young child, armed with an insatiable appetite for exploration, how would you ‘child-proof’ your home? Take a second, make a few mental notes, and then think about the windows. Can your child get to them? The harsh reality is, even though windows are an obvious fall risk, we are not adequately defending our children. 5,000 serious injuries related to window falls still occur in young children annually – these are only the reported falls. So why do I feel like the issue is underestimated? Because anecdotes that involve children falling on concrete, traumatized parents, and life-threatening injuries are not destined to troll around the internet or media outlets. Actually, several parents I chatted with, during a child’s hospital stay, were unanimously astonished that their little one could even get to a window. 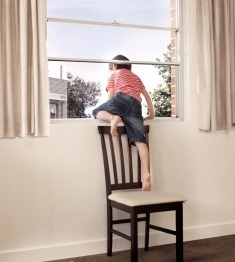 Toddlers only need a little more than 4 inches to pry open a window and wiggle through. And beware, screens are no match for their youthful agility. I saw at least twenty cases of window falls at Harborview Medical Center in Seattle, Washington, and was struck with feelings of helplessness each time. The scenario typically involved a warm day, a building or home without central air (hence the open windows), and a child old enough to get to a window but too young to assess the risk. An 18-month-old who rushed over to an open window to look at the family car when dad left for work. A 4-year-old who climbed a bookcase to play with a window and leaned on the screen. A 2 year old who managed to squeeze through a window opening, likely out of curiosity, while his mother was taking a shower. It’s impossible to describe potential injuries without inducing shock and sadness. Some kids fell on bushes, others fell on concrete. And some windows were on the first floor while others were 6 stories high. Young children have a higher head-to-body mass ratio and inertia is not very forgiving. In other words, children almost always fall on their heads. Yes they can. Read up and get a window guard like these from Kid Co.
Open it up to 4 inches and lock it there. No higher. Or if you have double-hung or bottom hinge windows, open the top only. And think cold weather thoughts. This is quite possibly the largest misconception in this topic; screens keep bugs out but definitely not children in. In a study looking at nearly 100,000 cases of window falls, almost 83% had screens in place. Screens are designed to pop out otherwise a house fire would be equivalent to being trapped in an oven. I bet a kitten could push out that flimsy device. Your little monkeys can climb bookcases, sofas, televisions, a sibling, the family mastiff, etc. You think a simple height barrier can stop a child on a mission? 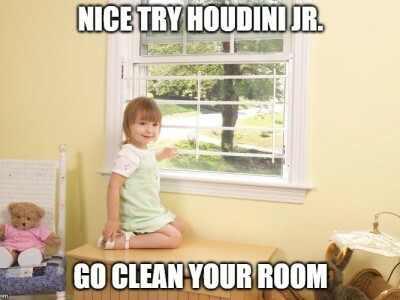 Think back to how inventive you were back in your “young Houdini” days. Why isn’t the government doing anything? Ultimately it is every caretaker’s responsibility to supervise children and ensure windows have guards installed. 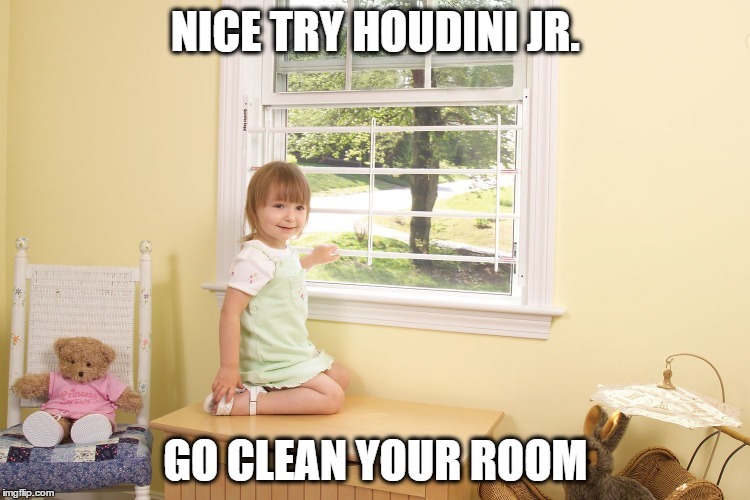 Nonetheless, some states like New York have building codes that mandate landlords place window guards in apartments with children under the age of 10 years. 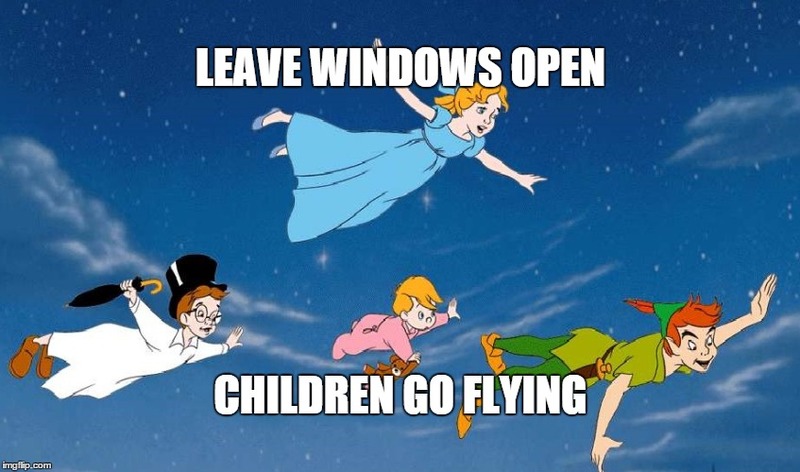 Alongside educational campaigns such as, “Children Can’t Fly”, the incidence of window falls in New York has dropped drastically. Follow suit, get your community leaders involved and you could save lives. In short, I really despise the fact that “window falls” served as such a substrate for my pediatric trauma training in residency. 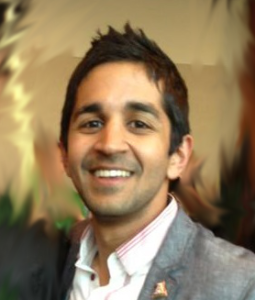 It is such a ridiculously simple problem to conquer with the right proactive approach. Interventions are fast, cost effective, and do not require any long-winded thought. Maybe in another lifetime, on another planet, children will be able to fly. But for now, just keep them from falling. There are very few public health issues that have such a clear solution. Window falls have devastating consequences but can be prevented with just a little public awareness and a lot of window guards. 10 Reasons Why Medicaid Is More Important Than Donald Trump. People want to laugh. And public health wants your kids to get vaccinated.